Bee Health have been producing high quality products in the UK of all dosage forms for clients worldwide for nearly 20 years.In addition to Contract Manufacturing services, Bee Health is the owner of a number of high profile brands, including FSC and Bee Health Propolis. FSC is a trusted brand with true heritage that is now over 50 years old. FSC is a comprehensive range of vitamins, minerals and herbs (some soon to be launched THR licenced herbals). FSC is a British product, manufactured by Bee Health at their state of the art facility in Bridlington, East Yorkshire; who pride themselves in terms of quality and service. 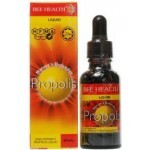 Bee Health Propolis utilises their expertise in Bee derived ingredients. 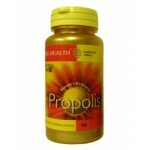 The Propolis range of products covers a range of liquids, tablets, lozenges, capsules and creams with excellent health and skin benefits.